If you are a big fan of Rock Band 3 and are looking to go even further with Pro mode and use real strings rather than a fret bar, the YouRock Guitar should be your instrument of choice. The guitar has just been updated with a new firmware that makes it compatible with Pro mode on Rock Band 3. Pro Mode allows you to actually play the tunes on real strings, which is really cool. 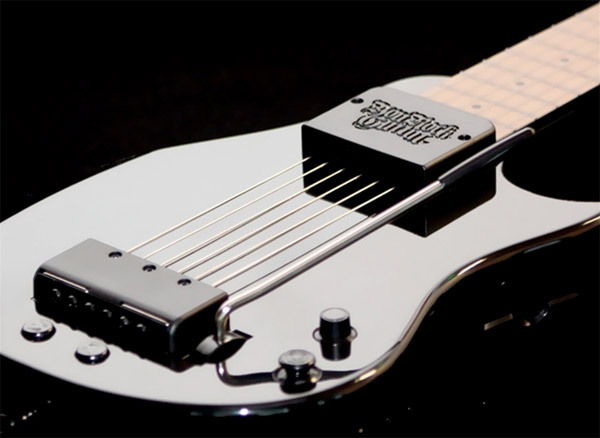 The YouRock Guitar can already control five button music games like Guitar Hero and older Rock Band Versions. The needed firmware for Pro Mode support is 1.2, which can be downloaded now. Players will also need the Mad Cats Rock Band 3 MIDI-Pro Adapter and a standard 5-pin MIDI cable. The new firmware retains all the other features of the YouRock Guitar like integrated sounds and more.